Quick question: Do you remember who the coolest kids in your high school were? More importantly, do you remember who got to decide who the coolest kids in school were? Sometimes it seems we’re never going to stop getting asked such questions – especially for those of us who do earned media and content marketing for a living. The modern day version of that first question is: How do you know if your website is popular? The answer is simple: Because Google says so. That’s only a slight exaggeration. Since its founding in 1998, when Google introduced the notion of using ranked backlinks to determine a website’s importance (as opposed to the then-predominant method of counting how many times a search term appeared on a given page) the importance of backlinks has continued to guide Google’s approach to website rankings and search engine optimization (SEO). An underlying tenet of an effective earned media strategy is that gaining independent recognition and/or support for your company, product or service provides stronger and more effective validation than paid advertising. Who are you more likely to believe – an unaffiliated third-party who says positive things about a company, or a paid company spokesperson? An effective backlink strategy starts from the same premise. Over the years, Google has developed and refined its algorithms so sites that utilize artificial SEO enhancement strategies (paying for backlinks, stacking keywords) are identified and penalized in Google rankings. In short, backlinks must be earned – just like earned news media. In order to earn backlinks, your website needs to provide organic content that is good enough to earn backlinks. Without legitimate content, third parties have nothing to link to. Even if your company has earned media recognition in a news story or posting, gaining the additional enhancement of a backlink to your website isn’t guaranteed. • Independence/Ethics: Providing links to companies’ websites may be viewed as implying an unwarranted relationship between the news source and the news outlet. • Technical/Time Constraints: Often decisions to include such links are at the discretion of the reporter (depending on the outlet’s policy). However, the actual creation of the link is done by the outlet’s technological team. Busy and harried reporters often don’t have the time to follow-up on such details. Recently SPRYTE Communications surveyed a range of national, regional and local news entities to ascertain editorial policies about providing backlinks to company websites. Among national news entities we surveyed, the predominant policy was that if a company appeared in a news story, then there may be links to other stories featuring the company or the main issue involved, but not back to the company website. Regional news entities offered something of a mixed bag. Many followed the guideline noted above – by linking to other stories the news entity wrote about the company or the issue on which the article focused. In addition, it was noted that company backlinks potentially might be viewed as a form of (unpaid) advertising for the company covered – thereby casting suspicion on editorial independence or risking the wraith of paying advertisers. Other regional news entities will link to specific information on a company’s website if it provides additional information that is directly relevant to the story. For example, a large Midwest city paper ran an online story about a volunteer recruiting effort by one of our clients, a national hospice provider. It included a link to a volunteer sign-up page on our client’s site, and one to the page of a national hospice nonprofit information group that described Medicare regulations concerning the percentage of hospice care that must be provided by volunteers. Local news entities likewise offered mixed reactions. One local TV station in the Midwest noted that when possible, stories posted online will contain links to organizations and companies that feature prominently in their stories, particularly if it’s a local “good news” story. Other TV outlets, particularly in larger metropolitan markets, rotate their stories so quickly that incorporating backlinks would be too difficult and time-consuming. Many news organizations are wary that providing a backlink to a company featured in a news story might appear to provide an undue commercial endorsement. At a time when many news organizations are facing serious financial challenges just to stay in business, it’s a consideration that can’t be ignored. 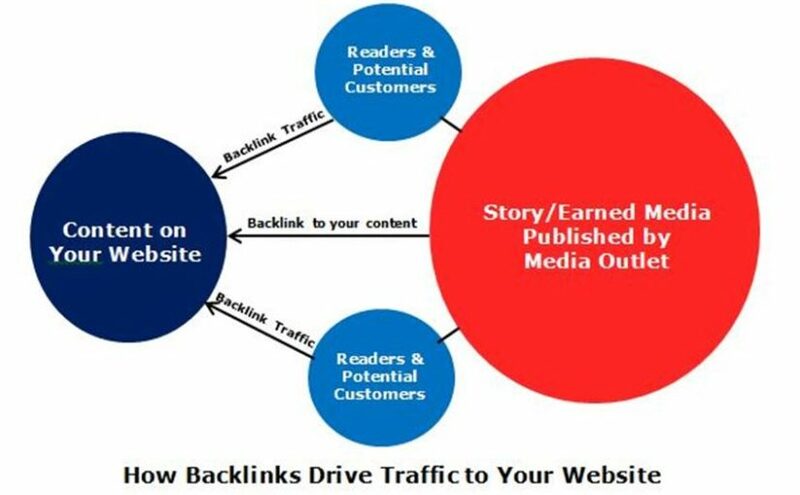 However, you can increase your chances of getting a backlink if you can point to content on your website that provides important additional information or details that enhance the earned media story that features your company. If your content is worthy enough, a reporter may recognize its value and provide a sought-after backlink to that relevant information, thereby gaining the much-desired enhanced SEO creds. Understanding and supplying what news outlets are looking for are routine tasks for experienced earned media professionals. Developing content that effectively balances what the media want while promoting the interests of our clients is where we earn our keep.